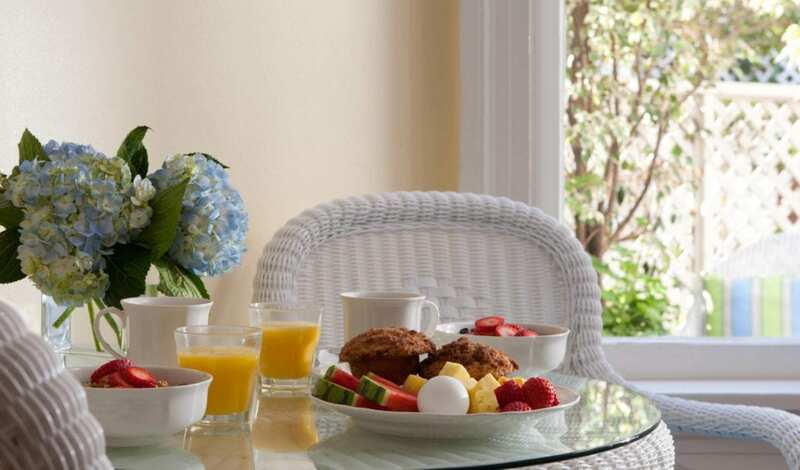 Named by Travel and Leisure and Sunset Magazines as one of the best Bed & Breakfast Inns in Los Angeles, the Channel Road Inn is located in the Santa Monica Canyon just one block from the beach. 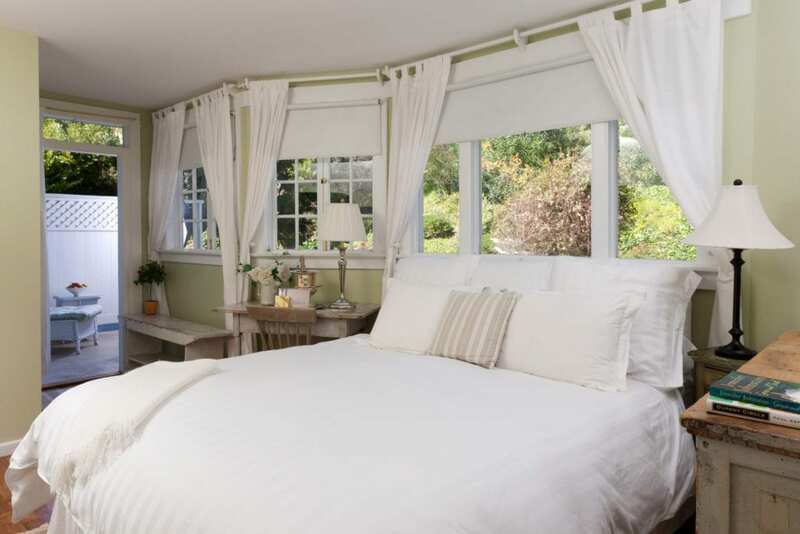 All fifteen rooms in this historic home are individually decorated and all have private baths. Some rooms have blue ocean views and fireplaces. Some have sun warmed decks and all offer telephones, cable television, fine linens and a respite from the outside world. A flowering garden, Jacuzzi and bicycles for exploring the 30 mile ocean side bike path are available for guests enjoyment. Be sure to visit our beautiful living room and fireplace with rare Batchelder tiles – perfect for gathering. Several of the city’s well-known restaurants are within walking distance and the famous J. Paul Getty Center is ten minutes north of the Inn. Our historic house by the sea, celebrating almost 20 years in Los Angeles.